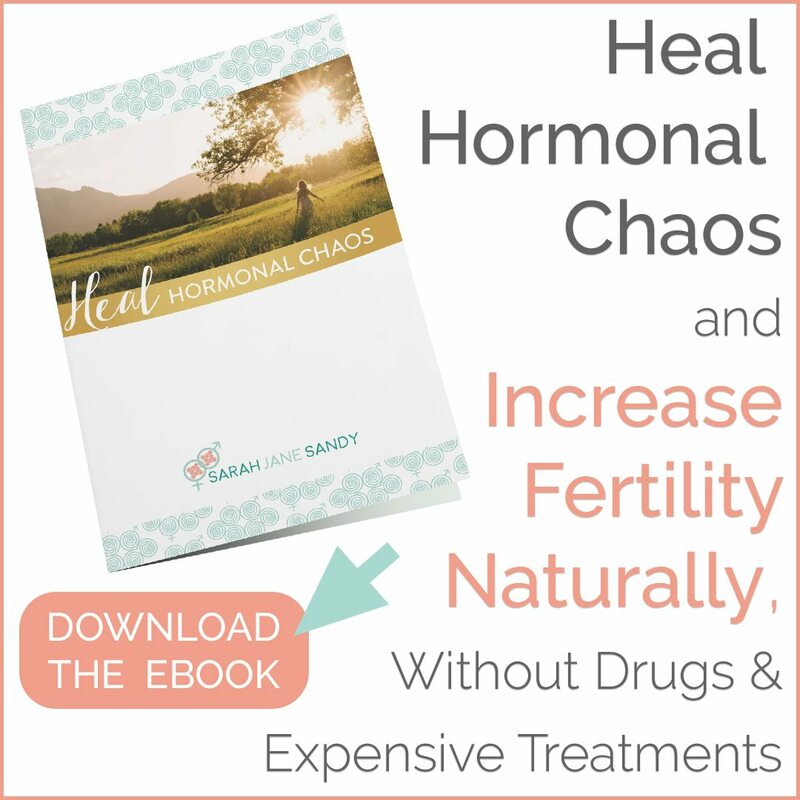 If you’re just tuning into this blog series, I’m discussing how to treat various hormonal conditions naturally. While there are situations and circumstances where medical therapies are necessary, I truly believe that natural remedies are foundational, and should always go hand in hand with medical treatments! Uterine fibroids are most often found in women over age 30 and are rarely seen in women under 20. It is estimated that between 20 to 50 percent of women of reproductive age have fibroids, although not all are diagnosed. Some estimates state that between 30 to 77 percent of women will develop fibroids sometime during their childbearing years, although only about one-third of these fibroids are large enough to be detected by a health care provider during a physical examination. Did you know that fibroids are responsible for over 200,000 hysterectomies in the USA annually?! fibroids are the most frequently seen tumors of the female reproductive system. fibroids, also known as uterine myomas, leiomyomas, or fibromas, are firm, compact tumors that are made of smooth muscle cells and fibrous connective tissue that form a fibrous “knot” or “mass” within the uterus. Women who are approaching menopause are at the greatest risk for fibroids because of their long exposure to high levels of estrogen. * intramural fibroids are are the most common. Fibroids can grow anywhere in the uterus; however, growing closer to the center of the uterus is linked to more bleeding related symptoms and infertility. What are signs, symptoms, and causes of fibroids? Many women who have fibroids don’t have any symptoms. In those that do, symptoms can be influenced by the location, size and number of fibroids. In some cases, the heavy or prolonged menstrual periods, or the abnormal bleeding between periods, can lead to iron-deficiency anemia, which also requires treatment. It’s believed that uterine fibroids develop from a stem cell in the smooth muscular tissue of the uterus. A single cell divides repeatedly, eventually creating a firm, rubbery mass distinct from nearby tissue. The growth patterns of uterine fibroids vary—they may grow slowly or rapidly, or they may remain the same size. Some fibroids go through growth spurts, and some may shrink on their own. Hormones. Estrogen and progesterone appear to promote the growth of fibroids. fibroids contain more estrogen and progesterone receptors than normal uterine muscle cells do. fibroids tend to shrink after menopause due to a decrease in hormone production. Genetic Disposition. A woman with a mother or sister who had/has fibroids is more likely to develop fibroids herself. Race. African American women are two to three times more likely to develop fibroids than women of other races or ethnicities. Black women tend have fibroids at younger ages, and have more fibroids and larger ones. Diet. Foods high in unhealthy fats like non-organic animal foods, processed meats, fried foods, and vegetable oils usually contain multiple chemical additives, and can increase inflammation in the body. Obesity. Women who are overweight or obese are more likely to develop fibroids compared to women who maintain a healthy weight. High Blood Pressure. High blood pressure or hypertension seems to increase a woman’s risk of fibroids. Hypothyroidism. Overt hypothyroidism has been associated with the presence of fibroids. Early Menstruation. Women who begin menstruation prior to the age of 10 are at a higher risk for fibroids than women who started menstruating after the age of 10. Birth control. Taking birth control pills can make fibroids grow more quickly because of the increased estrogen level in the body. Not all women with uterine fibroids will experience these troubles and many go on to have healthy pregnancies even with uterine fibroids. Due to the risks associated with fertility and pregnancy, it is best to work to reduce fibroid growth, prevent formation of new fibroids and to maintain healthy lifestyle choices BEFORE trying to get pregnant it order to bring about the best possible uterine health. It’s important to know that many fibroids that are present during pregnancy shrink or disappear after pregnancy, as the uterus goes back to a normal size. What are some Natural Remedies to help with fibroids? This probably won’t surprise you, but just like PCOS and Endometriosis, there is no “cure” for fibroids. The good news: you have plenty of options when it comes to managing and preventing further fibroid symptoms and related illnesses! As with any major diet and lifestyle changes, it takes at least 6-12 months of consistent change, along with natural therapies to bring about real change in the body when living with fibroids. So don’t give up when things get tough, I promise that these changes will be worth it in the long run! First and foremost—the most obvious change of them all—eliminate foods that make fibroid symptoms worse! High-Fat, Processed Meats. High-fat, processed meats are some of the worst food choices for women when it comes to fibroids. Foods high in unhealthy fats like non-organic processed meats can increase inflammation levels and often contain chemical additives (think non-organic bacon, sausages, cured meats, hamburgers, etc.). 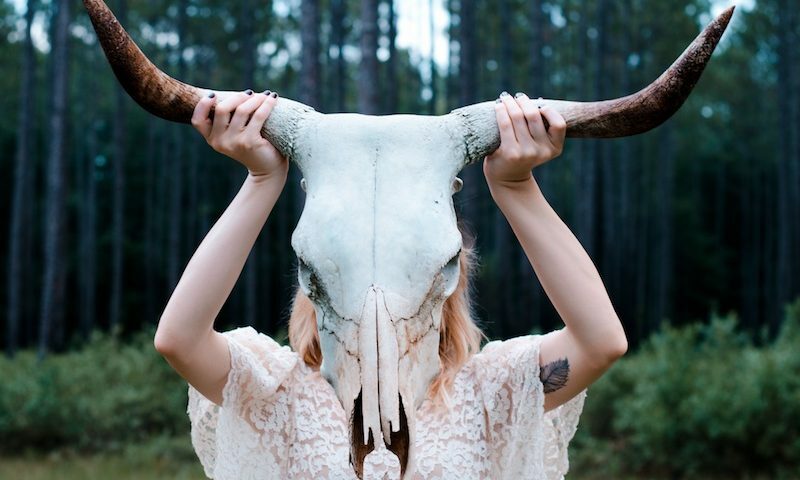 When you eat meat, you should always opt for organic and 100% grass-fed. Conventional Dairy. Non-organic dairy is very high in steroids and other chemicals that can alter hormones and encourage the development and growth of fibroids. Refined Sugar. Consuming refined sugar can increase pain and reduce immune function in the body. It may also lead to weight gain and hormonal imbalance, two factors that encourage the development of fibroids. Refined Carbohydrates. Managing hormones not only involves the elimination of sugars from the diet, but also refined carbohydrates. Refined carbs cause insulin levels to spike and hormones to become out of whack. Consuming processed grains like those in bread, pasta, cereal, baked goods, sweets, etc. cause the same negative affects to the body as eating sugar. These refined carbohydrates have been stripped of everything but starch, so they offer negative health consequences and no nutritional value. Alcohol. Overdoing it in the alcohol department increases inflammation throughout the body, reduces immune function and encourages hormonal imbalances. By reducing or eliminating alcohol, you can help to get your hormones back on track and hopefully shrink those fibroids fast. Caffeine. Too much caffeine is taxing on your body, especially your liver. When your liver is too busy focusing on detoxification, it diverts precious energy away from the reproductive and hormonal system. Another negative aspect of coffee in particular is that studies show drinking more than two cups of coffee daily may boost estrogen levels in women and could worsen conditions with a hormonal basis (like fibroids). The more you can keep your caffeine consumption down, the easier it is for your liver to detoxify your body and keep your hormones in proper, fibroid-discouraging balance. Organic Foods. Eating organic foods can help to prevent and shrink fibroids. Pesticides impact estrogen and other hormones levels. Since hormonal balance is key to natural fibroid treatment, you want to reduce your pesticide intake as much as possible. Green Leafy Vegetables. Green leafy vegetables discourage the growth of fibroids in a woman’s body. These vegetables are vitamin K-rich foods. Vitamin K aids in clotting and helps control menstrual bleeding. Cruciferous Vegetables. Cruciferous vegetables support detoxification of your liver and balance estrogen levels. Research has shown that high consumption of broccoli, cabbage, Chinese cabbage, tomato and apple seems to be a protective factor for uterine fibroids. A greater intake of cruciferous vegetables (and fresh fruits) is believed to be capable of reducing the incidence of uterine fibroids in women. Beta-carotene Rich Foods. Upon digestion, the human body turns beta carotene into vitamin A, which promotes the growth of healthy tissues as well as the repair of tissues, which can both be very helpful for healing fibroids. Some foods high in beta-carotene include carrots, sweet potatoes, kale and spinach. High-Iron Foods. fibroids sometimes cause some women to lose more blood during their monthly menstruation. This can lead to anemia. To replace the excessive loss of iron, include high-iron foods like grass-fed beef and legumes in your diet to help replace that lost iron and prevent anemia. Flaxseeds. Flaxseeds help balance estrogen levels in the body, which can help to shrink fibroids. You should aim for at least two tablespoons per day if you have fibroids. You can add flaxseeds to your smoothie, sprinkle them on your salad, or simply eat the seeds by themselves. Starchy Vegetables. Sweet potatoes, winter squashes (acorn, butternut, spaghetti, kabocha, etc), plantains, and taro are high in soluble fiber which helps the body to get rid of excess estrogens. Filter your water! Tap water contains a high amount of residual estrogens from all the millions of women on hormonal birth control, so it’s important to make sure you’re using a high quality water filter that gets rid of fluoride, estrogens, dioxins (chemicals that act as xenosetrogens in the body increasing your overall estrogen levels), heavy metals and pesticides. The AquaCera HCP Counter-Top Filter System is one of my favorites! It mounts directly to your kitchen faucet and the filter lasts a family of four for an entire year. A mega effective way to pack in lots of fiber and iron into your diet is through juicing. This is one of my fav juices to help shrink fibroids. Spinach is loaded with iron and is therefore great for combating the iron-deficiency anemia that can result from the heavy menstrual bleeding due to fibroids. 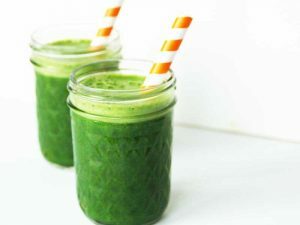 The apples in this juice are very cleansing to the liver, which helps promote liver function, allowing the liver to better metabolize estrogen, thereby helping to lower the elevated estrogen level commonly seen in women with fibroids. This, in turn, prevents the fibroid tumors from growing larger. Ginger is a major anti-inflammatory food – inflammation and acidosis within the uterus are the other major contributing factors leading to the development of new fibroids. By working to reduce the inflammation, ginger helps to prevent further acid damage to the cells of the uterus, thereby decreasing the risk of them becoming cancerous. Throw all of the ingredients into a juicer, and drink! Designs for Health OmegAvail Hi-Po: The essential fatty acids found in fish oil can help reduce inflammation in your body, which may play a part in fibroid growth. Designs for Health LV/GB Complex: LV-GB Complex is a comprehensive formula designed to support elimination of toxins through the specific combination of nutrients and herbs. By supporting liver and gallbladder function, LV-GB Complex supports the elimination of fatty substances from the liver and the digestion and assimilation of fats and fat soluble vitamins. Milk Thistle aids the body in liver detoxification, which is imperative for hormone balance. Designs for Health Inflammatone: Inflammatone contains a blend of proteolytic enzymes. Systemic enzymes may be helpful in reducing the size of uterine fibroids, healing and preventing scar tissue damage from existing uterine fibroids, promote healthy circulation and detoxification of tissues, while also reducing pain and inflammation. Enzymes have been shown in research to reduce the engorgement (swelling and pain) of fibrocystic conditions. They also eat away at the cysts reducing their size or eliminating them over time. Designs for Health FemGuard+Balance: FemGuard+Balance supports classic herbal hormonal balancing in the form of vitex, polygonum and black cohosh, along with DIM and chrysin for protection and support of beneficial estrogen aromatase activity. Calcium-D-glucarate promotes the proper elimination of excess estrogens. Rosemary, resveratrol, grape seed extract, and EGCg from green tea are included for maximum antioxidant protection. Vitamins B6, B12, and folate promote proper cell differentiation. Magnesium and calcium are also included to help support optimal hormone health. Lifestyle changes are some of the most effective ways to help shrink fibroids and eliminate the symptoms associated with fibroids. The following lifestyle suggestions compliment your dietary and nutrition changes. I suggest implementing as many of the following as possible. Thyme, clary sage and frankincense are the best essential oils for natural fibroid treatment. They all have the ability to help balance hormones naturally. Clary sage oil has also been shown by researchers to significantly lower cortisol levels as well as have an antidepressant effect on mood. This is just one of several studies that show clary sage oil’s ability to benefit a woman’s hormones. Rub two drops of these essential oils over your lower abdomen two times daily; put two drops of frankincense oil on the roof of your mouth two times daily. Handle paper receipts as little as possible and wash your hands afterwards. Avoid using perfume, hair spray and nail polish. Use natural feminine care products. Use recycled, unbleached paper products. Use non-chlorinated oxygen-based bleach in the laundry. Use organic, natural body care products, including makeup. Look for cleaning and laundry products that are plant-based, fragrance-free, and phthalate-free. Consider whether there is anything in your home made out of soft, flexible plastic, such as vinyl or PVC, that can be replaced with a non-toxic alternative. Exercise boosts production of our feel-good hormones, anti-inflammatory chemicals, improves estrogen metabolism by the liver, and burns fat. Less fat = less estrogen = less pain. Thirty to sixty minutes of daily, low impact movement—yoga, power walking, swimming, strength training, hiking, biking, etc.—will get your heart rate up, increase circulation to your reproductive organs, and help you improve your overall physical and mental health. A Castor Oil Pack is a cloth soaked in castor oil which is placed on the skin to enhance circulation and promote healing of the tissues and organs underneath the skin. Castor oil packs are wonderful for women with fibroids because they can clear out old tissue and congestion. Although it’s not considered a cure, it may improve symptoms such as pain during menstrual periods and pelvic pain. It’s important for this treatment to be supervised, and to have progesterone levels monitored, because too much progesterone can cause side effects as mood changes, depression, water retention, weight gain, and absent or abnormal menstrual bleeding. Cortisol is a hormone involved in the stress response but is also needed to make other hormones such as progesterone. Prolonged stress can lead to elevations in cortisol, which may decrease available progesterone and result in a hormonal imbalance. The present world is filled with stress, that’s non-negotiable. But how you respond and react to stress is entirely in your control. Practice managing your daily stressors with ease. My favorite tools for this are: restorative yoga, long slow walks in nature, biofeedback, a hot bath, a massage, or whatever else brings your unique soul pleasure! This may be one of the most important things you can do to manage fibroids symptoms! 1. Fibroids are the most frequently seen tumors of the female reproductive system with an estimated 20 to 50 percent of women of reproductive age having fibroids. 2. 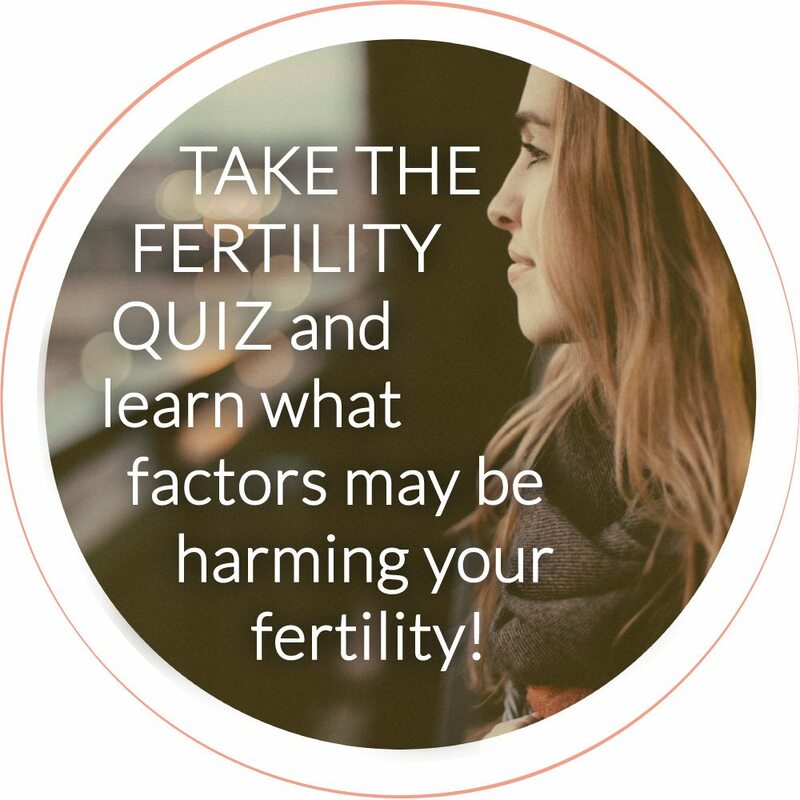 Fibroids—specifically submucosal fibroids—are thought to be the cause of infertility in 2 to 10 percent of infertility cases. 3. You CAN manage fibroids symptoms naturally through diet and lifestyle changes! Have you been diagnosed with fibroids? What’s your journey been like? If you suffer from fibroids symptoms, what natural remedies do you use to ease them? Spread some Natural Remedies for Fibroids lovin’! Sharing is caring, and I bet you have some friends who would love to read this too :). Looking to have a more in-depth conversation about how to naturally treat fibroids? Schedule a consultation with me!